BLANCO ATTIKA features a special elevated rim and generously proportioned hand-made bowl with a user-friendly depth of 10" and sleek rounded corners. BLANCO ATTIKA will delight architecturally-minded planners and builders in particular but will also be appreciated by individuals who take pleasure in exceptional accent items. With over 85 years experience in kitchen technology design and manufacturing, BLANCO offers the ultimate in stainless steel quality and craftsmanship. The German-made BLANCO ANDANO series features durable 20 gauge stainless steel, consisting of 18/10 chrome-nickel content for exceptional lustre, durability and strength. Features a base radius of 10mm and corner radius of 22mm allowing for a soft contemporary look. Handcrafted in Germany, BLANCO PRECISION sinks represent the pinnacle of craftsmanship. Strong in character and uncompromising, BLANCO PRECISIONs zero radius corners and angular bowl geometry create crisp, sharp lines. Features ultra-deep bowls and functional X-pattern drain grooves. Designed in Germany to Blanco's exacting standards of performance and quality. The BLANCO QUATRUS family offers crisp lines with its zero radius corners, modern style and lustrous finish at affordable prices for daily kitchen use. Single bowl, undermount kitchen sink in stainless steel. 5 1/2" reduced inner bowl depth for wheelchair accessibility.. The universal design of the QUATRUS ADA / CSA B651 compliant kitchen sink helps aging generations and people with disabilities truly engage with their environment. 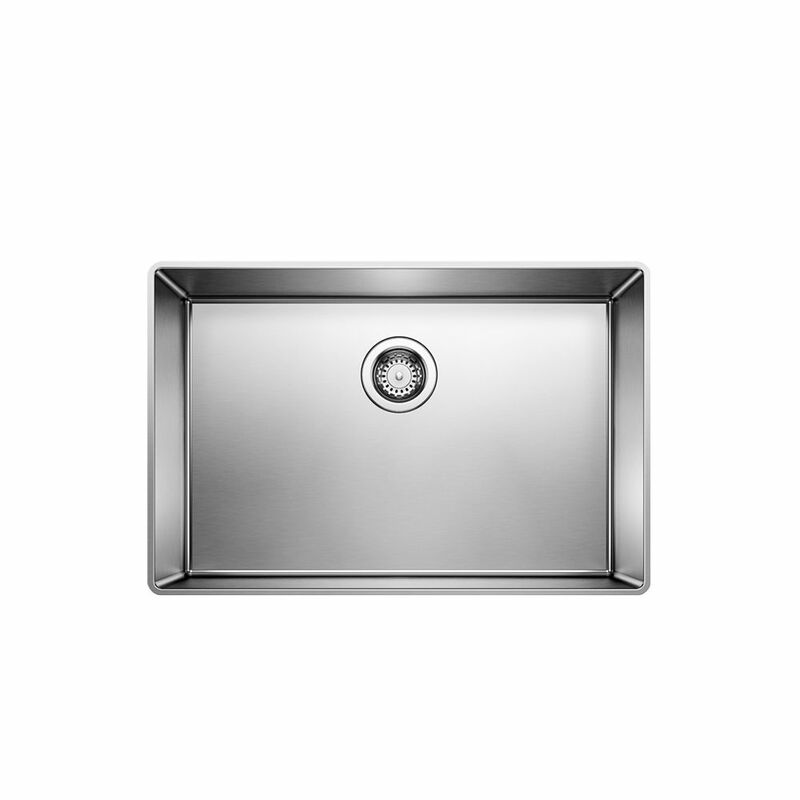 Attika, Stainless Steel Sink, Drop In BLANCO ATTIKA features a special elevated rim and generously proportioned hand-made bowl with a user-friendly depth of 10" and sleek rounded corners. BLANCO ATTIKA will delight architecturally-minded planners and builders in particular but will also be appreciated by individuals who take pleasure in exceptional accent items.